The Locktoberfest has historically been a great invite for the past few years. We have seen a few state champions and a lot of All-Staters compete on the hills of Dellwood Park. This year looks to rival other years even with holdouts of runners such as Rory Cavan and Stephen Moody of Glen Ellyn (Glenbard West), Christian Knowlton of Plainfield South, and Sam Rivera and Charlie Nevins of Chicago (Whitney Young). Without these competitors, it leaves open runners like Tyler Cushing of Bolingbrook, Jared Kreis of Lincoln-Way Central, Michael Madiol and Chris Keeley of Naperville (Neuqua Valley), and Connor Zydek of Wheaton North shooting for the top five. Cushing is coming into this race the clear favorite as the only other man that has broken 15 minutes in the field in Kreis. Kreis is a tough competitor, but Cushing has his number as they have raced at SWSC Pre-Conference, First To The Finish Invite, and the Minooka Flight Invite. Each time it has ended the same way, Cushing departing the scene with the "W." This could also lead Kreis to want redemption and gain a lot of confidence going into another battle with Cushing at their conference meet in two weeks time. Kries is coming off of a dominating performance at the Bartlett "Flyin Hawk" Invite that saw him run a 15:09 and dominate the field by 28 seconds. Madiol and Keeley are back in the Land of Lincoln after competing over in Indiana at the Culver Academies Invitational. Madiol has proven to be the Wildcats undisputed #1 guy after holding the position for the first three meets of the season. He took an impressive 4th place with a 15:56 (5k) against some of Indiana's best runners and Lyons Township's top guys. Keeley has enjoyed a solid season as he is currently sitting with a season-best of 15:04 in the three-miler- just a few seconds off his PB of 14:59, but still has had a strong showing this year. Zydek is coming into this week with a huge weight lifted off his shoulders as he committed to the University of Wyoming this past week. The future Cowboy raced last weekend at the Wheaton North Quad where he took 1st with a 14:50 for 2.95 miles. His PR for 3 miles is a 15:04 which he ran at the Peoria Richard Spring Invite. Zydek is a sneaky runner that very well can take a third-place spot behind Cushing and Kries. 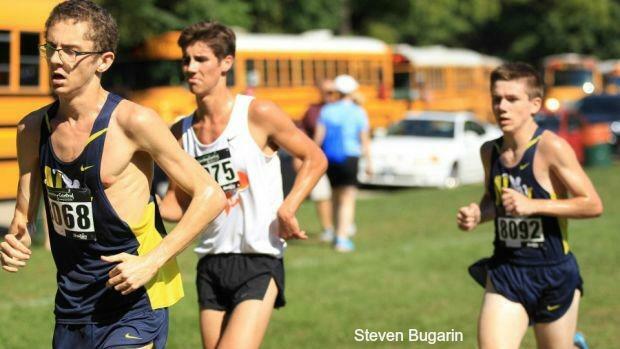 The team race should be easy money for Neuqua Valley as they are only keeping Nicholas Dovalovsky down on Frosh/Soph and are racing the rest of their top guys. Watch for Naperville North, Lockport, and Wheaton North to battle for the second place and third place spots.